Some have complained that 2016 was a dead year for 007. But while there was no action on the cinematic side of the Bond world (which is not untypical in a year following a film), 2016 was a banner year for those of us who get enjoyment from the literary James Bond. This year was unique in that we got two Young Bond novels by Steve Cole, Heads You Die and Strike Lightning. 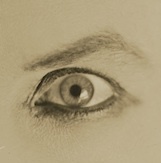 Both were released in limited edition hardcovers and paperbacks. The last book is Steve's best yet (IMHO), and right up there among the best of all the continuation novels. We also had an embarrassment of riches in the graphic novel arena with Dynamite's Vargr, Eidolon and Hammerhead. 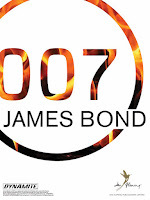 Hammerhead is receiving praise from Bond fans reading the individual issues. (I admit I'm waiting for the collected volume.) And we almost got Dynamite's first adaptation of a Fleming original, Casino Royale, but that has now been pushed to July. The year also saw a new collection of the classic Fleming strip from Titan. The Folio Society released From Russia With Love. We got Trigger Mortis paperbacks in the U.S. and UK. And Ian Fleming himself showed up on Timeless. Unfortunately, the year also saw the loss of Ian Fleming's literary agent and the man who ran Glidrose for so many years, Peter Janson-Smith. 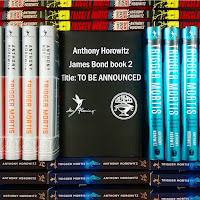 In the news department, we learned that Anthony Horowitz will pen a second James Bond continuation novel. 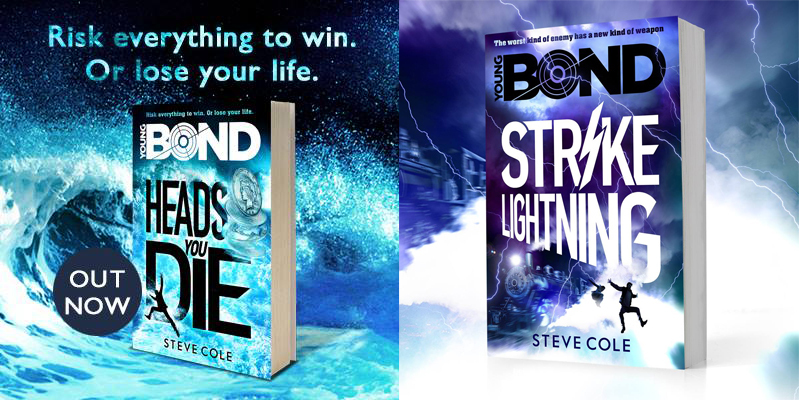 We got the name and cover art for Steve Cole's next Young Bond, Red Nemisis, as well as the next graphic novel Black Box. And we learned of the spin-off series, Felix Leiter, due to kick off this month. Finally, I did a little design revamp on the The Book Bond itself, adding dropdown menus where you can more easily access past posts. I'm all for the literary James Bond. I have been re-reading the original Ian Fleming novels in order and really enjoying the experience. Have been reading my father's original Signet paperbacks and a few 1960s book club editions. 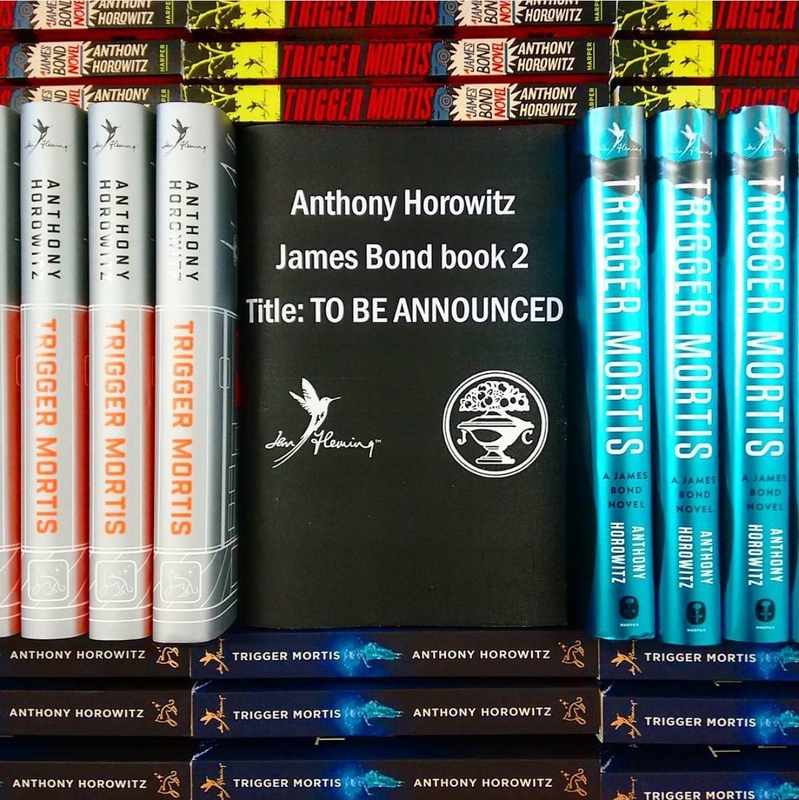 I have Doctor No to read next but will read Trigger Mortis after Goldfinger. I read most of the Flemming and Gardner books in the early 80s, so it has been a great experience to rediscover these gems! Really enjoying your posts as week! 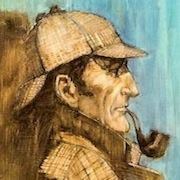 The first Signet's I ever read were also one's that had belonged to my father. It's fun how many people have had that same experience.